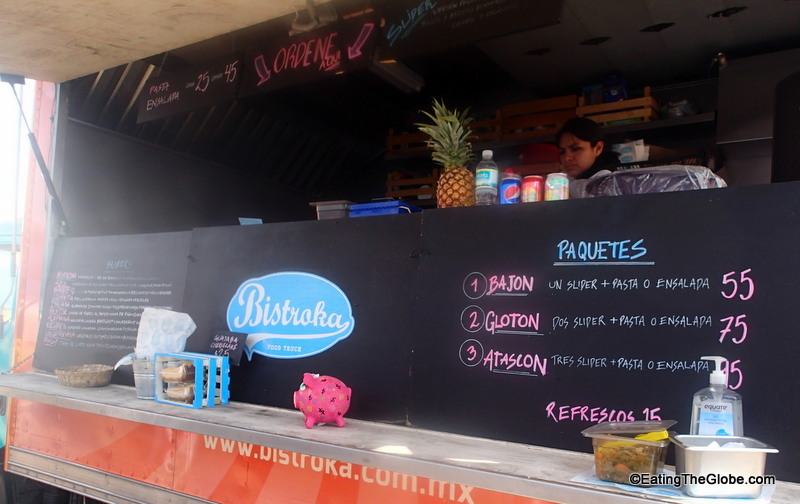 Food trucks have made it big all across the world, even in San Miguel de Allende, Mexico. I went to the Food Truck Weekend Event that happened over Super Bowl weekend, and the food was phenomenal. This Food Truck Weekend happened next door to Chef on Fuego Restaurant, and, I have to say, while all the food I tried from the food trucks was awesome, Chef on Fuego stole the show. Well, Chef on Fuego and the girls from Raspadito Corazon who made the lovely mescal cocktails in the adorable glasses. 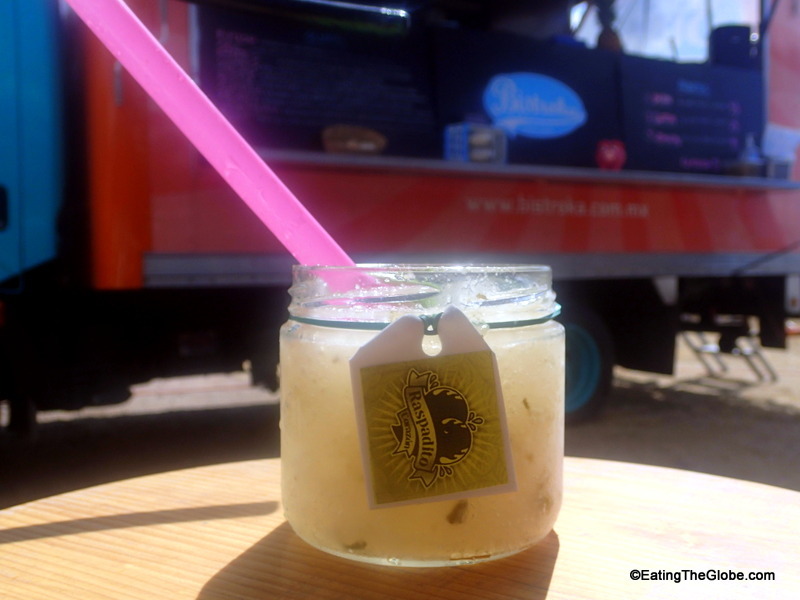 I had the guayaba mojito, but I think the lime, kiwi, and chia was everyone’s favorite. 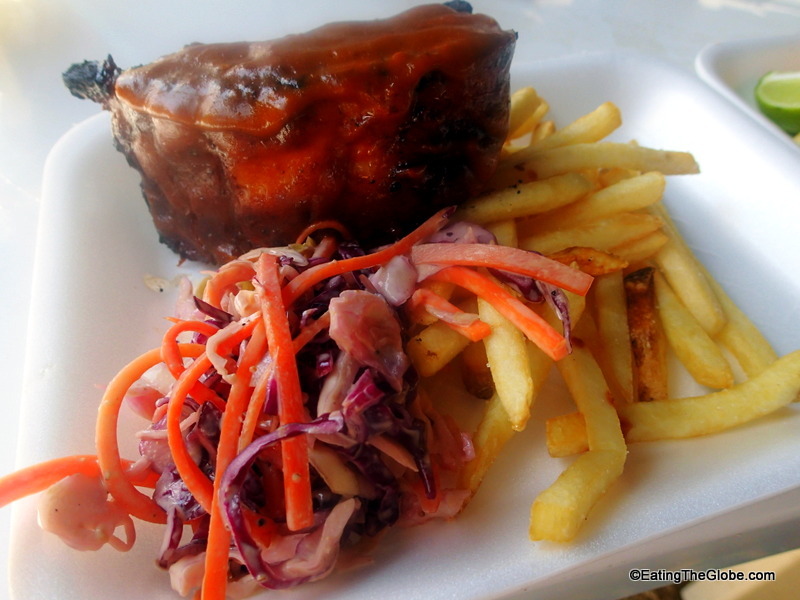 Everything I tasted from the Chef on Fuego food truck was incredible, but the ribs were my absolute favorite. They were smoked in a smoker, and were just falling off the bone. 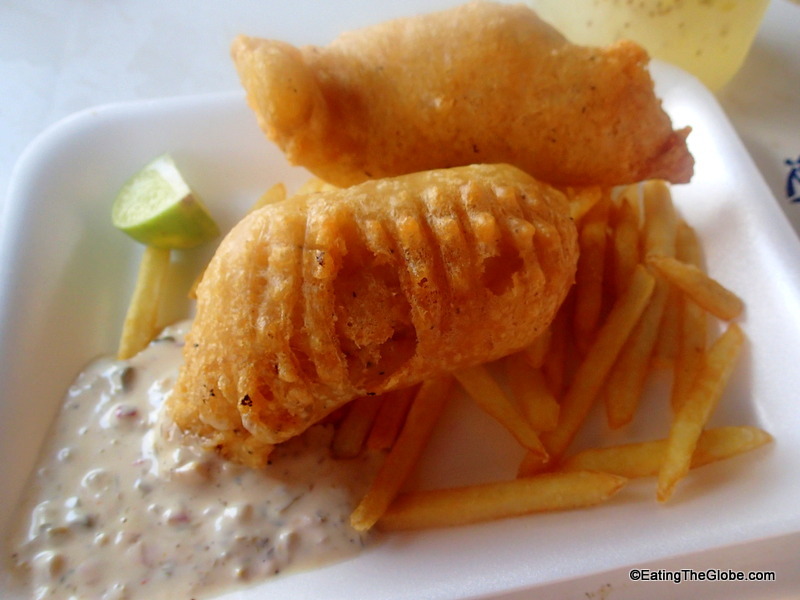 The fish and chips were also great with a light beer batter and a caper-filled tartar sauce that was some of the best I’ve ever had . 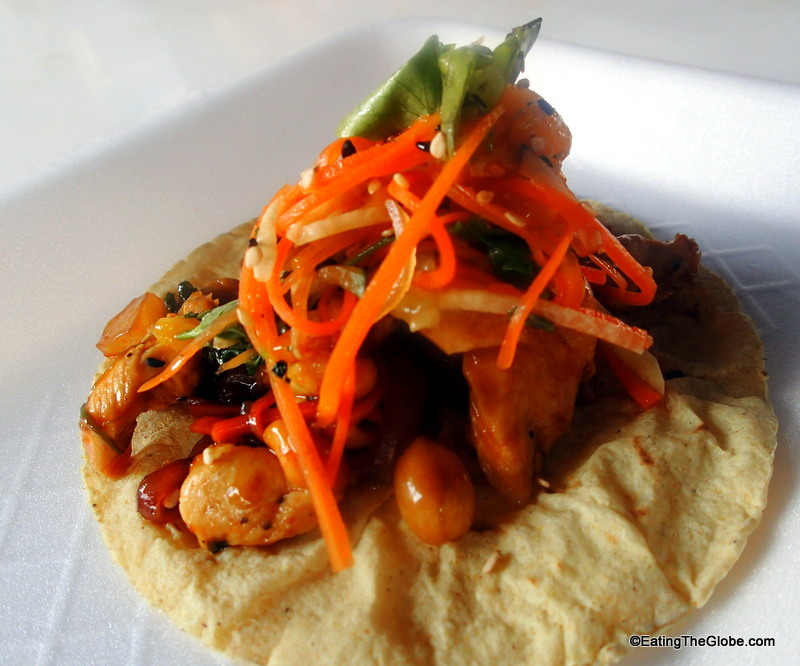 Then, I moved on to the Thai chicken taco, and my mouth exploded with joy at this new taste sensation. Perfectly cooked chicken with all the sweet, salty, spicy, sour, bitter flavors of Thai food, the peanuts and the pickled veggies, all on a taco. It wasn’t just good, it was genius. The only downfall of the Food Truck Weekend, was that even though I split all of this food with the lovely Susan York, the food blogger from Cupcakes And Crablegs, I was too full to try the Philly Slider or the scrumptious looking cheesecake from Bistroka. 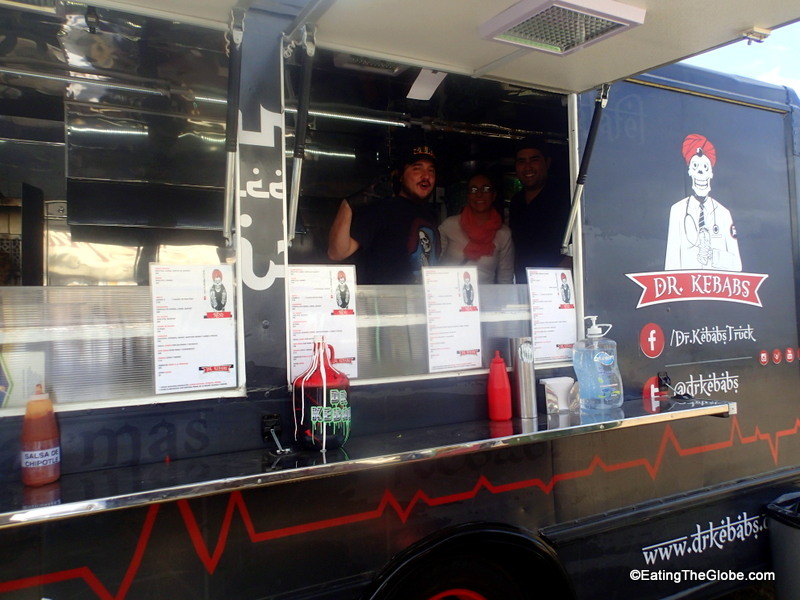 Also in attendance, was a seafood food truck, and one serving hamburgers and fries. I guess I’ll just have to go to the next Food Truck Weekend (they are happening monthly in San Miguel) and find out what I missed. From the city of Queretaro, The Association of Food Truck Weekend, has 14 trucks (2 of them are from San Miguel de Allende). This association of food trucks travel around this region of Mexico, and is an exciting addition to the San Miguel de Allende food scene. 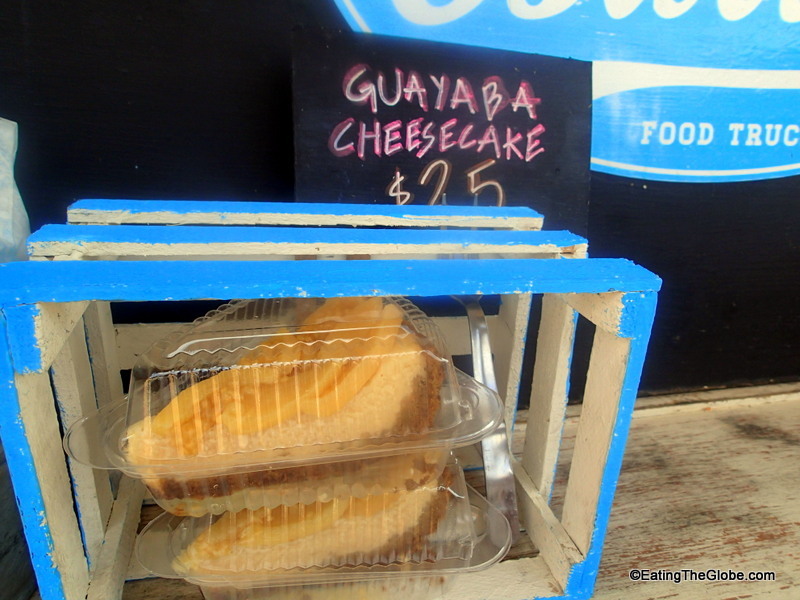 One Response to "Food Truck Weekend In San Miguel de Allende"
The food looks so delicious! I remember going to a food truck festival here in Makati, Philippines. It’s one the best experienced I had and plus the food are amazing and unique, some are cheap but some are pricey too. Anyways, great read. Cheers!